There are many varieties of roses that can be used for this, but research indicates that a variety of Rugosa (“Frau Dagmar Hastrup”) has a combination of properties that make it ideal for our purpose – disease resistant, large number of hips, high vitamin C content, attractive to bees and birds. The variety “Scabrosa” has fewer but larger hips and can be a good alternative. There is a grower in Norfolk (Peter Beals Roses) that currently has about 70 Scabrosa in stock. The regular price is £12.45 each, but we can get a discount for a larger order. Enquiries are also in progress with Cultivate London about sourcing them locally. Gardens, allotments, community orchards, waste ground, etc. These roses can cope with clay soil and partial shade. How much space do they take? The varieties mentioned above grow to about 1.5m high and about 1.5m diameter in clay soil. 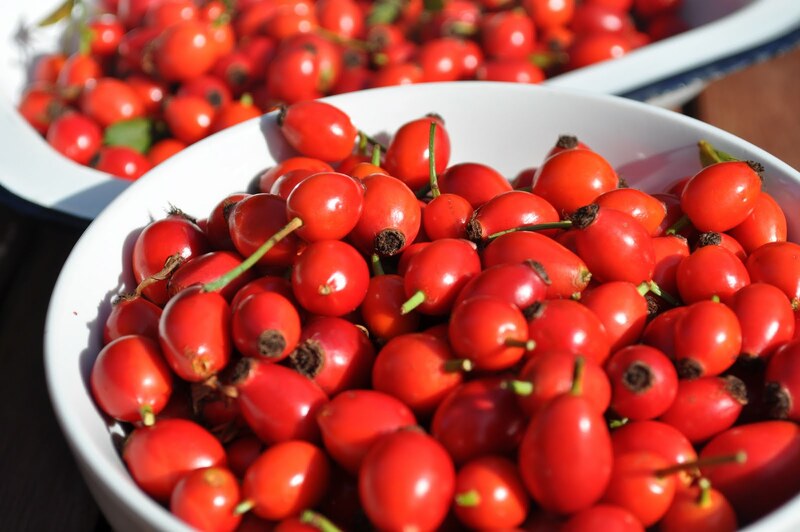 How to make rose hip syrup? There are lots of suggestions on the web, but we could create our own recipe sheet and/or hold communal brewing sessions in the autumn.